At the PROMAT 2015 Show Bednet® introduced a new line of rack safety products. The response has been incredible. Our simple solutions for rack safety offer push through prevention, work area protection, and can be used for pick and pack operations. 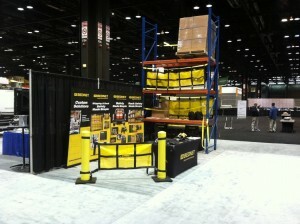 You can view more information about our rack safety and warehouse safety products at RackSafetyMadeSimple.com. Contact us at 1-866-423-3638 or racksafety@thebednet.com.